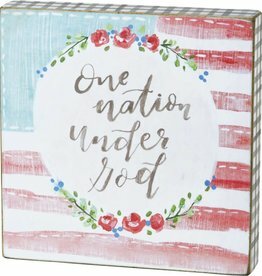 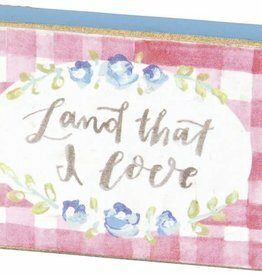 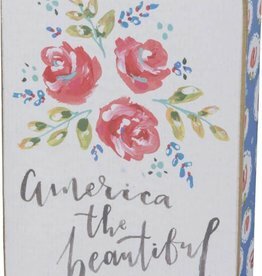 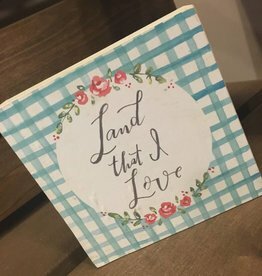 America the Beautiful Block Sign, 4.5x6"
One Nation Under God Block Sign, 6x6"
This 8x7" will surely show your American spirit. 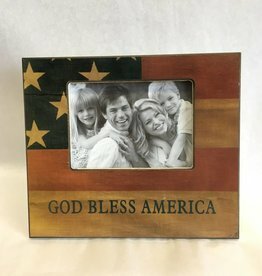 Holds a 5x4" photo and sits perfectly on any surface. 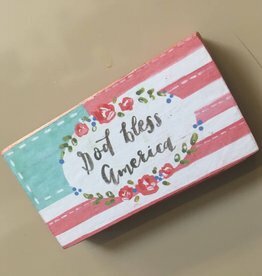 Land That I Love Block Sign, 4.5x4.5"
Land That I Love Magnet, 3.25x1.25"
God Bless America Magnet, 3.25x1.75"